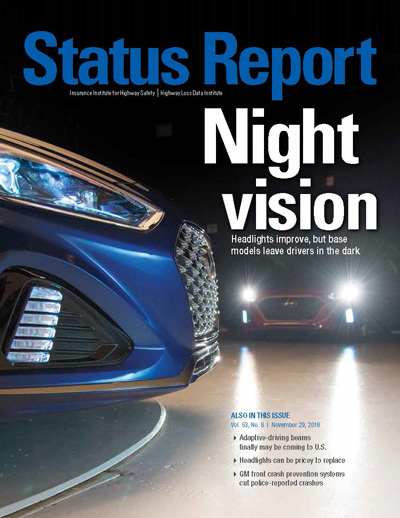 The cover story in the latest edition of the Insurance Industry for Highway Safety (IIHS) Status Report examines improvements in headlight performance that, while benefiting safety, are often leading to higher collision repair costs. The report includes IIHS ratings of headlight performance on 2018 model vehicles. According to IIHS, since most vehicle buyers don’t test drive vehicles at night, the ratings can help consumers understand how well their headlights will perform. ← 2019 ABPA Fort Lauderdale Convention – Calling All Sponsors!